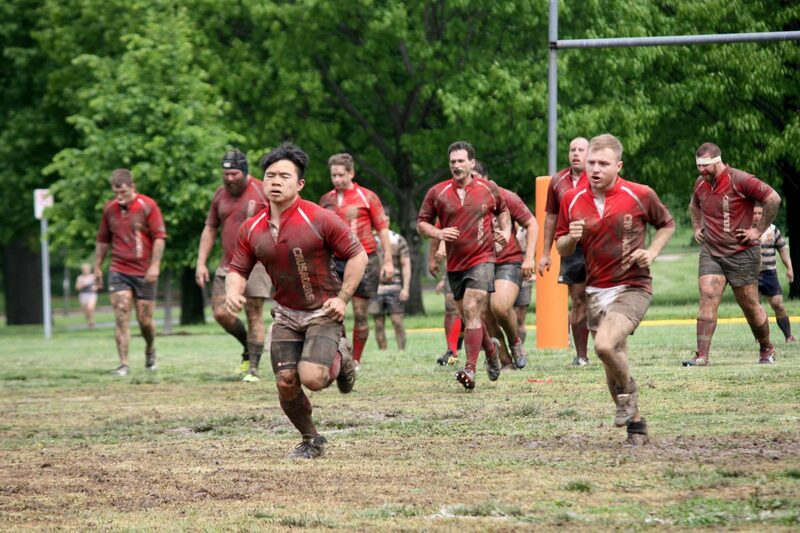 If you have a thing for callus-knuckled rugby players, you’ll be able to cheer on (and maybe check out) more than 70 of them on April 7 in Forest Park. At the Spring Fever tournament — an event organized by International Gay Rugby — five teams will be competing, all with incredible names: the Dallas Lost Souls (from Texas), the Columbus Kodiaks (from Ohio), the Milwaukee Beer Barons (from Wisconsin), the Madison Minotaurs (also Wisconsin) and, finally, our hometown favorite and local hosts, the St. Louis Crusaders. The Crusaders are an outfit that welcomes anyone over the age of eighteen to participate, regardless of race, ethnicity, sexual orientation, height, weight, build, level of fitness or level of experience. The squad will use this tournament in April as prep work for future athletic adventures in Madison and then Amsterdam. Come cheer on our local ruggers! Spring Fever rugby tournament hosted by the St. Louis Crusaders, free, 10 a.m. to 5 p.m., Sat., April 7, in Forest Park at the Cricket/Rugby Fields next to the Visitor & Education Center, 5595 Grand Dr., crusadersrfc.org.